Companies are nowadays placed in very complex and dynamic environments, making their competitiveness mandatory. This competitiveness can also be achieved through the reconfiguration of systems’ network. In this paper, high level of self-organization of service-oriented multi-agent systems is explored, aiming to achieve more trustworthy and automatic reconfiguration processes, in dynamic and open environments. The correct self-organization model directly impacts the success of agents’ behaviours to actively change or create new appropriate services dynamically. 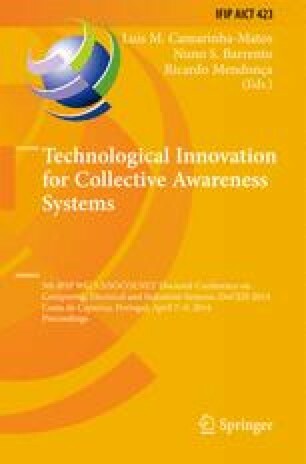 This paper advocates on the influence, in a distributed and cooperative way, of risk management, similarities and incentives to work together in order to speed up the self-organization agent’s network. By leveraging the SOA and MAS benefits it is possible to reduce time, effort and money. Based on identified benefits and needs, several research leads for my thesis plan are here proposed towards the realization of self-organization capabilities aiming to accomplish more trustworthy and automatic reconfiguration processes, in volatile and open environments.